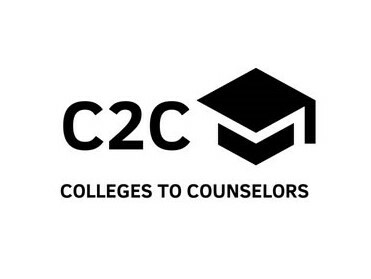 Iowa ACAC is excited to announce the first ever Colleges to Counselors (C2C) Events coming for the 2018-2019 school year! * Free for school counselors! Minimal cost for participating colleges! * Updates from colleges on the latest and greatest at their campuses! * Networking with college and school counselors. * Special college fair just for school counselors! * Optional tour of the host campus - Drake University! C2C is designed to give school counselors a free opportunity to hear brief updates from colleges/organizations in a platform setting. Colleges will give a quick 2-5 minute update, plus there will be a mini-college fair just for school counselors. This allows everyone to network, get more in-depth information, as needed, and promotional materials. There's also an optional tour at the host campus as part of the program! We will host three C2C events throughout the state of Iowa. The first will be September 6 at Drake University. Lunch will be provided by the hosts. School counselors get a booklet of quick facts on each college or university participant, for note-taking and specific information on each institution. Best news? It's FREE for school counselors! Register now at www.iowaacac.org/resources! Locations for the spring C2C Events are Loras College in early February and Briar Cliff University in early April. Stay tuned for dates and registration info on those two events. Here's a tentative agenda - a detailed agenda will be sent to registered participants.